This is a scalable context timeline. It contains events related to the event 2003: CIA Lawyers View Videos of Detainee Interrogations. You can narrow or broaden the context of this timeline by adjusting the zoom level. The lower the scale, the more relevant the items on average will be, while the higher the scale, the less relevant the items, on average, will be. The CIA videotapes interrogations of high-value al-Qaeda detainees. The interrogations of at least two detainees are taped. One of the detainees is Abu Zubaida, who helped run a training camp in Afghanistan (see March 28, 2002 and Mid-May 2002 and After). [Central Intelligence Agency, 12/6/2007] Another is Abd al-Rahim al-Nashiri, chief of al-Qaeda operations in the Arabian peninsula (see Early October 2002 and (November 2002)). [New York Times, 12/8/2007] The tapes run to a “couple hundred hours,” and mostly show 24 hour a day coverage of Zubaida in his cell. However, some portions show aggressive interrogations, including waterboarding. According to one source, full transcripts are not made, although summaries are drafted and sent back to CIA headquarters. [Fox News, 12/13/2007; Washington Post, 12/18/2007] Another source says the opposite, “A detailed written transcript of the tapes’ contents—apparently including references to interrogation techniques—was subsequently made by the CIA.” [Newsweek, 12/11/2007] However, after tapes of Zubaida and al-Nashiri’s interrogations are destroyed in 2005 (see November 2005), some tapes are still in existence (see September 19 and October 18, 2007), suggesting that either not all tapes of their interrogations are destroyed, or that one or more other detainees are videotaped. 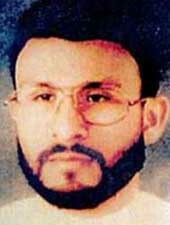 Another detainee whose interrogations may be taped is Ramzi bin al-Shibh, because he is the most important remaining al-Qaeda leader who is captured during this time period (see June 13-September 25, 2000 and September 11, 2002). In addition, at least one audio recording is also made. [US District Court for the Eastern District of Virginia, Alexandria Division, 10/25/2007 ] According to a statement by CIA Director Michael Hayden, the interrogations are recorded because “new” procedures are used during the interrogations and the tapes are “meant chiefly as an additional, internal check on the program in its early stages.” The videotaping apparently ends in 2002. [Central Intelligence Agency, 12/6/2007] Another reason for the videotaping is said to be Abu Zubaida’s poor medical condition - he was shot several times during the operation to capture him. An intelligence official will later say, “There were concerns that there be a record of his medical treatment and condition in the event that he died.” [CBS News, 12/13/2007] However, there are various allegations these detainees are tortured (see Mid-May 2002 and After, June 16, 2004, Shortly After September 6, 2006, and March 10-April 15, 2007). Some of the tapes are destroyed in 2005 (see November 2005) and there will be a media and political outcry when this is revealed in 2007 (see December 6, 2007). Jay Rockefeller. [Source: US Senate]Ranking member of the Senate Intelligence Committee Jay Rockefeller (D-WV) requests “over a hundred documents” from the CIA’s Inspector General. The documents are referenced in or pertain to a report the Inspector General drafted in May 2004 about the CIA’s detention and interrogation activities. Rockefeller also requests a report drafted by the CIA’s Office of General Counsel (see 2003) on the examination of videotapes of detainee interrogations stating whether the techniques they show comply with an August 2002 Justice Department opinion on interrogation (see August 1, 2002). However, the CIA refuses to provide these documents, as well as others, even after a second request is sent to CIA Director Porter Goss in September 2005. [US Congress, 12/7/2007] The videotapes Rockefeller is asking about will be destroyed by the CIA just two months after his second request (see November 2005).